While we wait for the mech team v team to get together on CM forums I made a four mission campaign in Black Sea on Rad Full 2. If anyone wants to test it with me to see if its balanced or fun that would be pretty crazy (I could use help with fortification placement and AI plans if you really get into the map as well ). Battles at max will only be a smidge over battalion vs battalion depending on your losses (Little to none at all in this case). Master maps are a lot of fun considering all the space. Huge maps really dont start lagging until you place more pixeltruppen than you should anyway. Hopefully someone will find my campaign enjoyable =). No briefings yet. More details/screens to come. If you want the file to test, please PM. I want to have a fun pbem on this. Re: your map - is it something you designed from scratch? Is it fictional or 'factional'? Wherebouts - geographically - is the setting? Maybe give us the Campaigns Briefing text to read? I don't have a mission whipped up yet but it shouldn't take long at all. I didn't think to add a briefing or anything quite yet. I figured we could knock out a quick game and if there is further interest we can continue. We can either do a company sized mech battle or a battalion sized one. This is using the map Rad Full 2 found on Thescenariodepot under CMRT. I have converted the map over to CMBS with an old tool I scoured the forums for. I've been so out of sync with the forums I realized this thread was about the campaign I threw together. Then again I've been practically begging for a pbem. 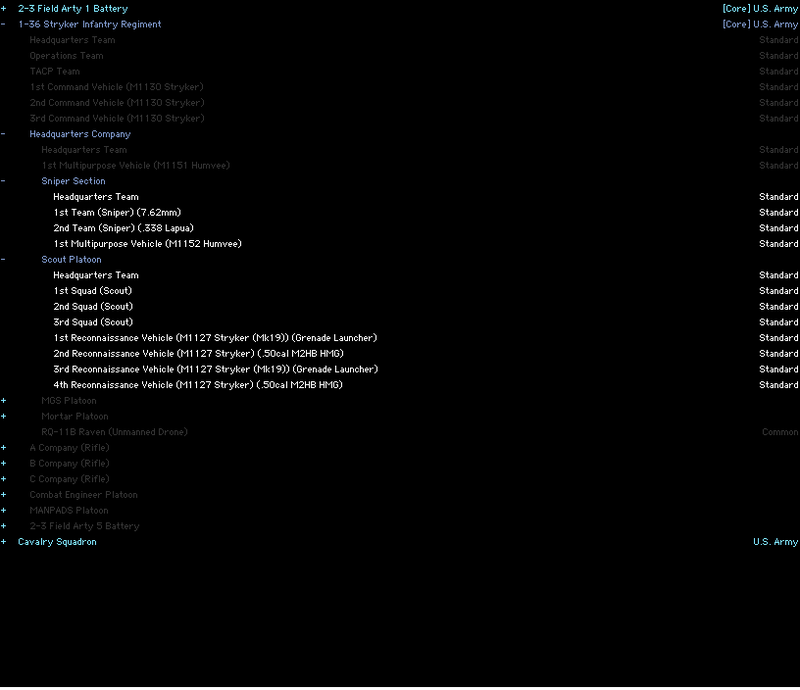 I'm able to run the map on an i5 2500k and a gtx 670 with 16gb ddr3. In this following link contains the campaign itself, the four individual mission files, the campaign text file, and the master file for the troops I used. I didn't write up a briefing yet or anything of the sort. I wanted to see if there was interest before I attempted it. 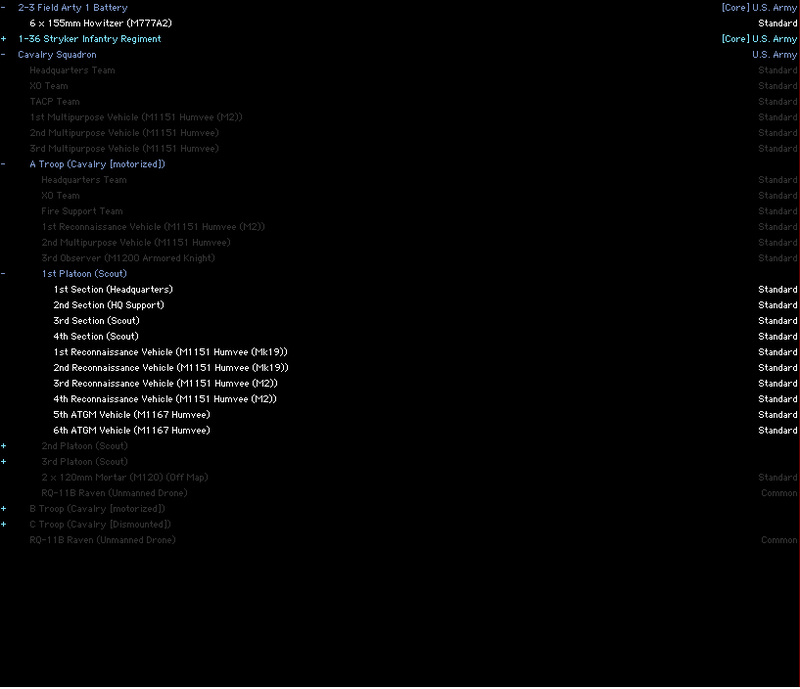 Furthermore, my GPU wound up dying on me and I can no longer load in as well. I think a lot of the memory used for the map is stored in the GPU. I am always interested in good user campaigns as campaigns provide this additional connection, meaningfulness, and immersion single scenarios lack for me. 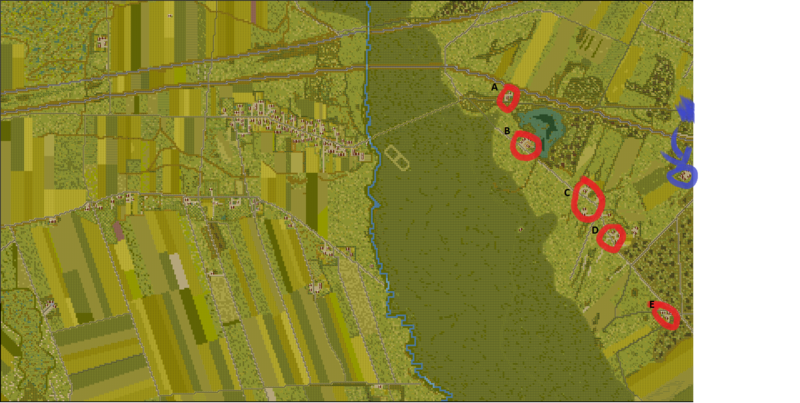 I can´t tell you much other than that I downloaded scenario 1, it loaded correctly, and that the map looks good. When you perchance find time to create immersive briefings and background I definitely will give it a try. I'd suggest buying all the units you're going to use on the map. Don't worry about specifics. If you think it'll be 2 battalions (or so), against 3+ battalions, just buy something like what you foresee ending up with. E.g., generic battalions, without worrying about experience levels and attachments. Then, just mash 'em together. Big sweeping moves with multiple waypoints for everything. Don't worry about what ends up where or legal/illegal terrain. The goal? To see if the movements and LOS calculations will cause a CTD. Just because a map can load in 3D does not mean that a game will load. It's the additional load of having units moving, LOS'ing, and shooting which will overload your computer. Yeah I've done all that. My max was about 5-6 battalions on that map before CTD. In preparation for our assault you've been assigned to recon the front lines east of Radzy. Our intent is to receive as much intel on the enemy force as possible and then pull out. ROE is return fire only. Your task in the will be to establish a fob and occupy the five objectives A, B, C, D, E.
In addition, a force will be granted to penetrate and survey the front lines. 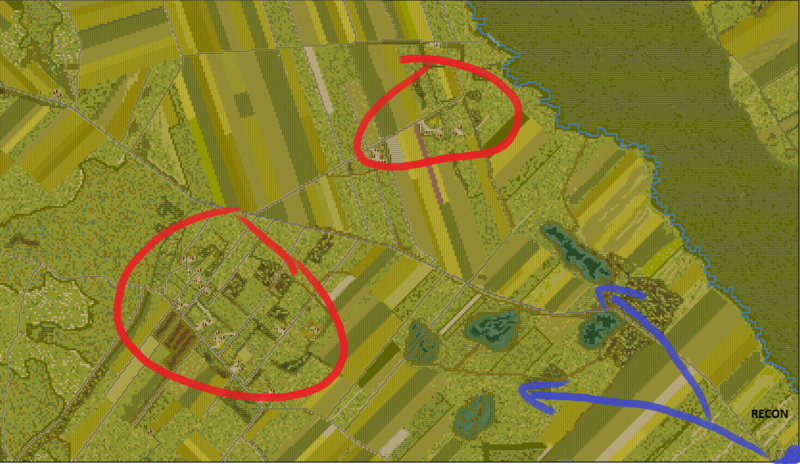 You have been assigned a stryker scout platoon and a sniper section to establish the fob (indicated in blue) and occupy the objectives (indicated in red). You have also been assigned a motorized scout platoon to penetrate and survey the front lines South of the crossing points. Understood to be at least a brigade of Russian mechanized regulars from the 42nd Guards Motor Rifle Division in vicinity of Radzy. Separately, I wanted to get a team v team game going on this map, but that appears it isn't happening. I am going to focus on getting this out of the way first. I might be interested in helping, provided my computer can handle it haha! Here are the links. Let me know what happens from here. Is the map available anywhere? It's the CM:BS conversion I was hoping to find, I couldn't get the map-convertor to work. I can post it for you. I'm having trouble with the mutilator also. Hopefully this time it worked. It's called Rad Full 2. I just threw my converted maps into that. Hopefully there is no issue with us doing this..
if my guess is right these are from maps created by Pete for CMRT. You can tell by zooming out - you'll likely see his name somewhere You should credit him somewhere for using it. Seems my computer can handle it OK @Artkin. Perhaps an H2H AAR is in order? Can never have to many of those! You mentioned teams - if there are the people available I'd be interested in trying that too. Sadly the map crashes CM:BS for me. Cheers fella, it opens in the editor just fine, but crashes on preview, so I'll probably just trim it until it cooperates.....I've had mixed results with converted maps in the past, but I suspect this is down to sheer size and the battering my GPU's taken over the years.